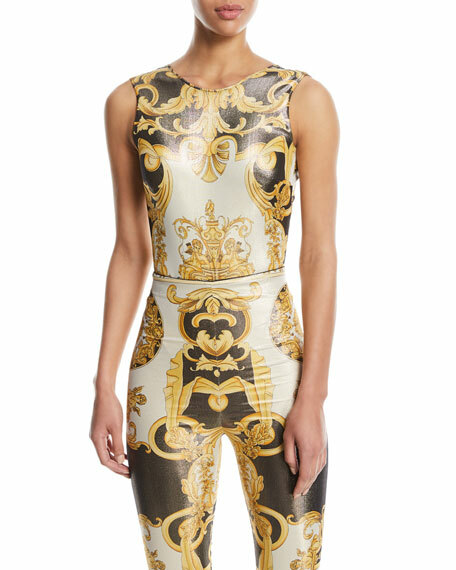 Versace baroque printed top with metallic finish. 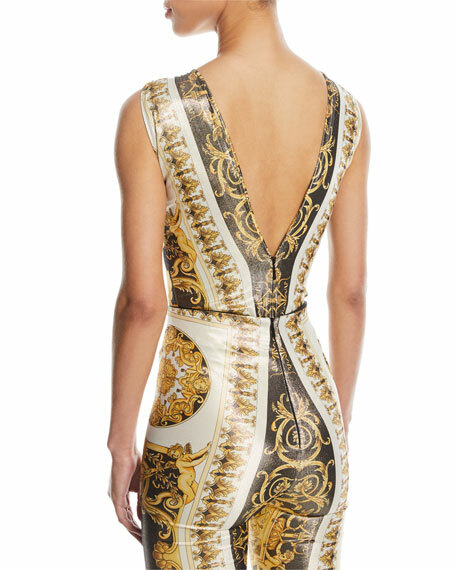 High neckline; deep V back. For in-store inquiries, use sku #2486294.